Spondylolisthesis pain is actually rather rare and is virtually always associated with severe grade 3 and 4 classifications of vertebral migration. Science has concluded that most mild and moderate expressions of listhesis should not be painful and are certainly not inherently pathological in any way. However, many patients who have been diagnosed with listhesis do have pain, even when the structural presentation of their vertebral slippage is not considered clinically significant. Given accepted statistics and research results stating that most listhesis is asymptomatic, why do these people suffer lower back pain? If you have pain that has been linked to listhesis or simply have back pain and incidental listhesis, this article is a must read. We will cite the latest medical evidence to provide answers on the many possible causes of pain in association to spondylolisthesis and provide help for patients who are suffering right now. As noted above, listhesis is usually asymptomatic in grade 1 and 2 classifications. Most patients whose pain has been attributed to low grade spondylolisthesis have been misdiagnosed, which also helps explain why they rarely respond well to various indicated treatments. Grade 3 and 4 spondylolisthesis are complete different matters altogether. While not inherently painful, these more clinically severe cases of vertebral migration can certainly become painful due to several mechanisms of action, including spinal stenosis enacting spinal cord or cauda equina compression, foraminal stenosis enacting nerve root compression, mechanical dysfunction in the facet joints or regions of spinal instability that compromise form and function of the overall vertebral column. In cases of true listhesis-motivated pain, symptoms might be severe and may require conservative treatment to bring relief or surgical intervention to enact a lasting cure by addressing the underlying structural issue demonstrated. Rare cases of listhesis might create symptoms that are so severe that disability is a very real threat. Fortunately, medical interventions can usually be implemented to prevent such tragedy, as long as care is available and indicated for the specific patient’s needs. Listhesis is relatively common, affecting 5% to 11% of the total world population. 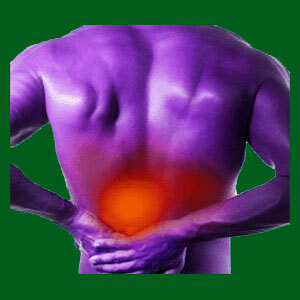 Back pain is also incredibly common, affecting about 85% of adults at some point in life. There are dozens, if not hundreds, of different potential causes of back pain. The logic eludes some patients, but we can tell you for sure that pain experienced by listhesis patients might not be a result of the vertebral migration at all. This fact mirrors similar facts for many structural spinal abnormalities with very bad reputations, such as herniated discs, arthritis and various forms of atypical spinal curvature. As mentioned in the preceding section, high grade spondylolisthesis can create pain and other symptoms. However, many people with low grade listhesis also demonstrate back pain. These people can be suffering from any of the dozens of other potential causes of dorsalgia, including muscular, spinal, systemic, disease-oriented or mindbody versions of the condition. The listhesis might be implicated incorrectly as the source of pain, as detailed in our important essays exploring the scapegoat phenomenon. The listhesis might also be ruled incidental, allowing patients to pursue other diagnostic possibilities and hopefully, an eventual cure. It is vital for all spondylolisthesis patients (especially grade 1 and 2 patients) to understand that pain can exist in the spine without being created by vertebral slippage. Assuming that the spondylolisthesis is the cause without evidence of a definitive pathology and mechanism of action is sure to produce disappointing treatment outcomes, as is revealed time and time again in therapeutic result studies. Enjoying a proper, comprehensive and accurate diagnostic process should never be taken for granted. While recognizing the signs of spondylolisthesis on medical imaging is simple, there are many other aspects of the diagnostic process that can go horribly wrong. The doctor might incorrectly grade the condition. The doctor might not recognize the pathological nature of the condition. The doctor might blame the condition for creating pain while it is actually innocuous (this one is most common) or the doctor might exaggerate findings simply to compel the patient into premature or completely unneeded surgery. This is why we advise patients to focus on the diagnostic process before even considering treatment. Make sure that you have an honest doctor and be certain that they perform a complete exam in combination with any imaging studies that are ordered. Ask them questions and get answers that make sense. If anything they tell you seems “wrong”, then go elsewhere. In fact, even if everything they tell you seems perfectly logical, go elsewhere anyway and get another opinion. This is the path of safest travel in the often perilous spondylolisthesis treatment industry.